Bengaluru or Bangalore is the capital city of Karnataka. This Silicon city of India is a melting pot of cultures, with people from across the country making this beautiful place their home. With more than 70% Hindu population, Bangalore has some of the most amazing temples of the country. Once ruled by the Kings of the Western Gangas, the Cholas and the Hoysalas, the city has a rich history associated with it. The foundation to modern Bangalore was laid during the Vijayanagara empire, under whose reign many temples and shrines were built in the city. In a busy city like Bangalore, it is these places which offer peace and solace to the people. Some of them are almost 1000 years old and one can feel the divinity in the air. Come, let’s explore these powerful temples in Bangalore. The Bheemalingeswara Temple is one of the most immaculate and beautiful temples you shall ever see. The structure of the temple is gorgeous and it truly reflects the beauty of Hinduism. 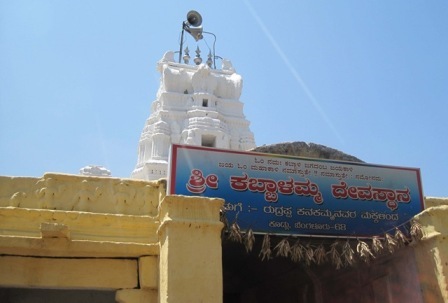 It has thousands of visitors every year and is one of those places that are definitely worth visiting.The temple is located in Chikballapur district in a town called Kaivara. It is said to have been built by Bheema, which is why it is called Bheemalingeshwar and is one of the ancient shiva temple in Bangalore. 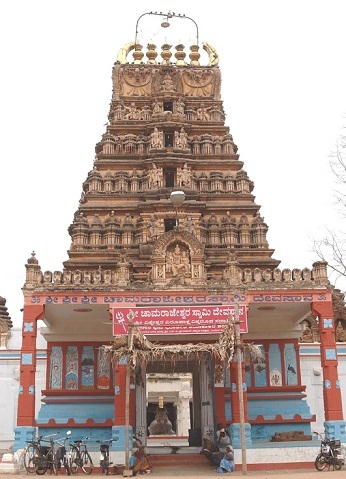 The Gangadeshwara Temple is one of the good temples in Bangalore, known for its popular monolithic pillars and the unique idol of Agni, who is also known as the God of Fire. The temple is truly a marvellous attraction and should not be missed out on.The shrine is also called Gavipuram Cave temple and illustrates architecture of Indian architecture. It was built in the 16th Century by a ruler called Kempe Gowda 1, who was also the founder of modern Bangalore city. The Dharmaraja Temple stands as a strong reflection of the country’s culture, tradition and customs. The architecture and designs are just brilliant. The combination of colours and the different images that have been used are something that will surely make you want to learn more about this place.This is one of the old temples in Bangalore to visit and is dedicated to the worship of Pandavas, which is quite rare in India. As we all know, the Iskcon temples have been established in quite a number of cities in India..This famous Krishna temple in Bangalore is located in Chord Road. It is a very clean and beauteous temple that has been well maintained over the years. It is dedicated to Lord Krishna and has thousands of visitors every year. 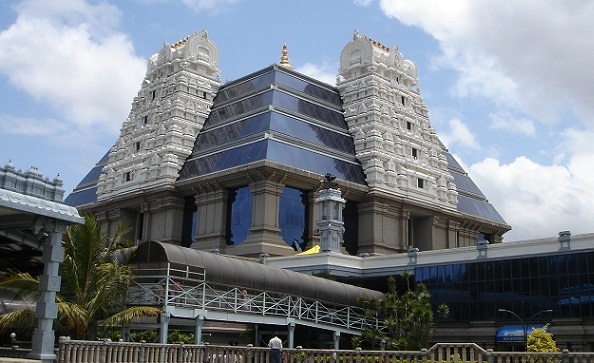 ISKCON temple Bangalore is one of top famous temples in Bangalore dedicated to the worship of Lord Krishna. The Channakesava Temple located near is a wonder. It stands as a true representation of the vast culture and architecture that the ancient sculptorshas to offer. 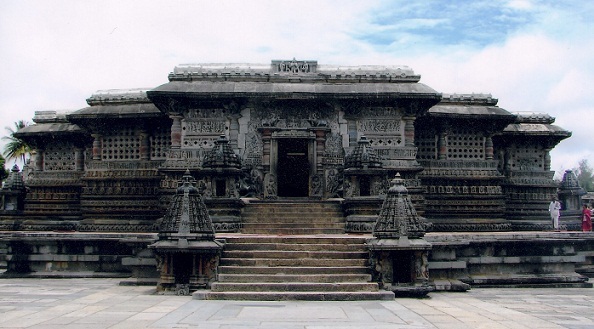 It holds major historical significance and is one of the most renowned temples in Bangalore. You will surely learn a lot about India’s golden days when you come here.It was constructed during the Hoysala rule and dates back to 12th Century. The temple is dedicated to the worship of Lord Vishnu and is known for its marvelous architecture. The Chamarajeshwara Temple is a beautiful temple in Bangalore, regarded as one of the highest Hindu seats. It is one of the tallest structures to be seen and is known for its excellent and flawless architecture. Located in Chamranagar, the temple is one of the places you wouldn’t want to leave Bangalore without visiting once.The temple has a big courtyard and it’s walls are adorned by the idols of Gods and Goddesses. It is one of the big temples in Bangalore. 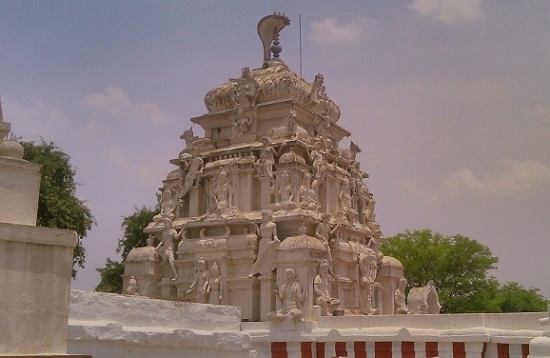 The Sri Kabbalamma Temple is one of Bangalore’s well established and finest looking temples. It is one of the best places to travel and has been suggested by many of those who have been to this place. The Devi temple in Bangalore looks picturesque from afar and its holy ambience is sure to get you into a mood of worship.The temple is dedicated to the worship of Shakti Devi in the form of Kabbalamma. Another reason for its popularity is that it is the only temple in the surrounding 28 villages. Other Attractions: The bull inside the temple to whose horns devotees tie cash notes to get their wishes fulfilled. The Venugopala Swamy Temple of Bangalore is colourful, bright and truly an example of the splendid architecture of India. The appearance of this temple is unspeakably beautiful. The idols that have been used to decorate the temple add to charm of this temple and make it look glorious. This is beautiful temples in Bangalore and is close to 115 years old. 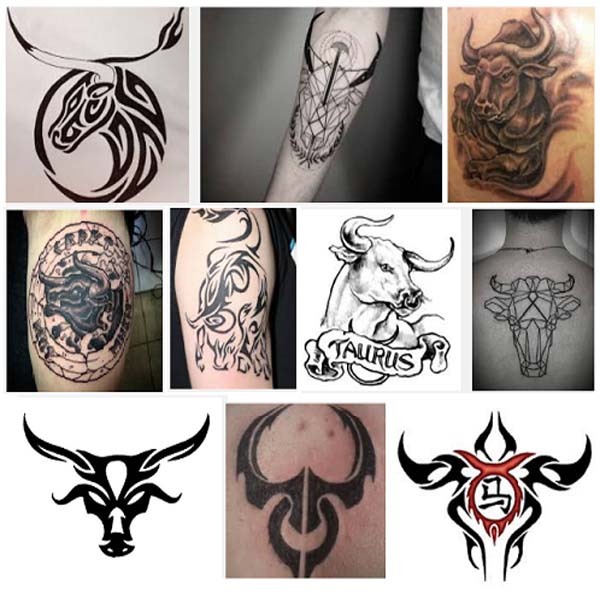 The Bull Temple is the pride of Bangalore. Dedicated to the Nandi Bull, the idol is about 4.6 kilometers tall. It is carved from a single stone and is the best place to come to during important Hindu festivals such Shivrathri. 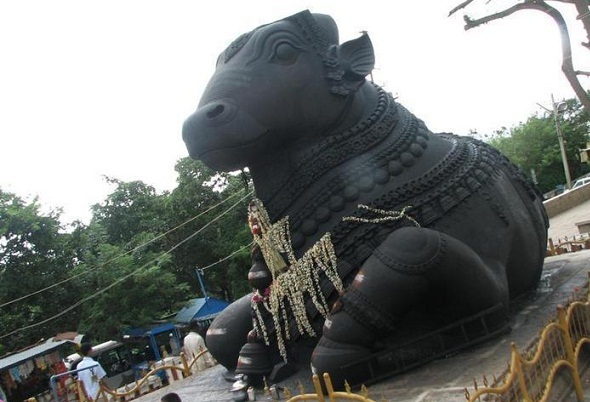 This Nandi temple Bangalore is located in a park called Bugle rock and is also called the Dodda Basavanna Gudi. This statue is covered with tons of butter by the locals, a form to worship the vehicle of Lord Shiva. The tourists and visitors increase by numbers every year.Shree Dodda Ganapathi temple in the campus is also one of the famous Ganesh temple in Bangalore. 1. Are There any Temples in Bangalore Dedicated to The Worship of Lord Venkateshwara? Yes! 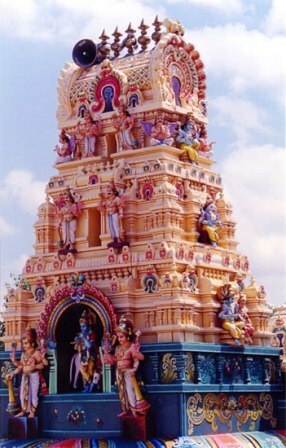 In Bangalore the popular deities are Ganesh, Shiva and Lord Vishnu. Lord Balaji, who is an incarnation of Lord Vishnu also has a temple in Bangalore called Chikka Tirupathi. 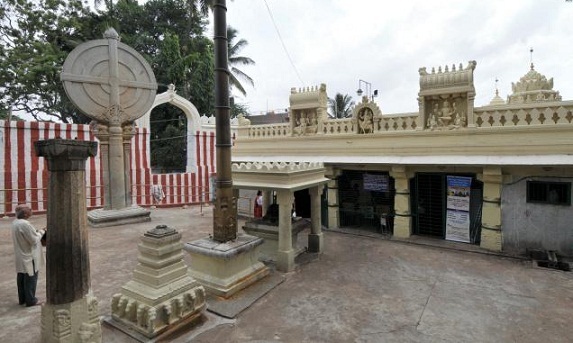 This Balaji temple Bangalore is considered to be equal to the famous Tirupati Balaji temple. Many locals opt this Venkateswara temple Bangalore to get the child’s first head shave or mundan instead of going to Tirupati. 2. What are The Dress Code Practices of Temple in Bangalore? The temples in Bangalore follow the Dravidian style of worship. 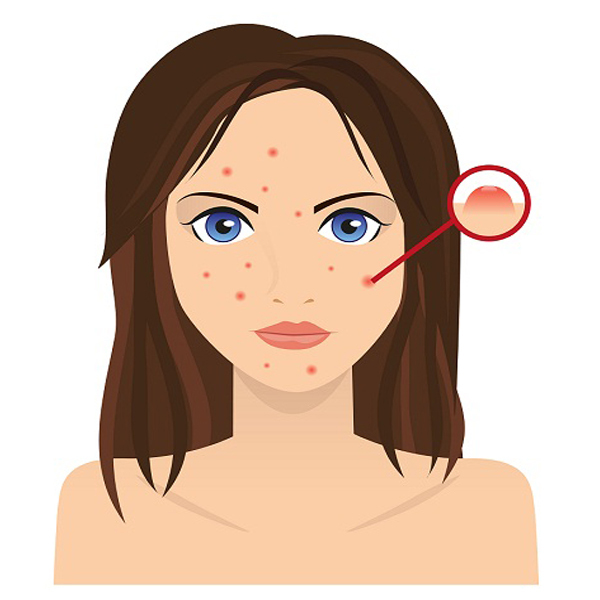 In most of these places, there is a specific dress code for both men and women. They don’t allow men to wear a shirt and a pant. It is mandatory to wear a lungi and a towel on the shoulders. So, before you plan to visit the temple, do check these rules to avoid inconvenience. 3. What are The Other Prominent Temples in Bangalore? Apart from the temples listed in this article, there are many other significant shrines which attract devotees. One such place is Shree Abhaya Anjaneya Swamy temple, which is also known as big hanuman temple in Bangalore, with a 115 feet statue of the God. Another such place is the Surya Narayana temple Bangalore, which is a prominent sun temple in Bangalore. 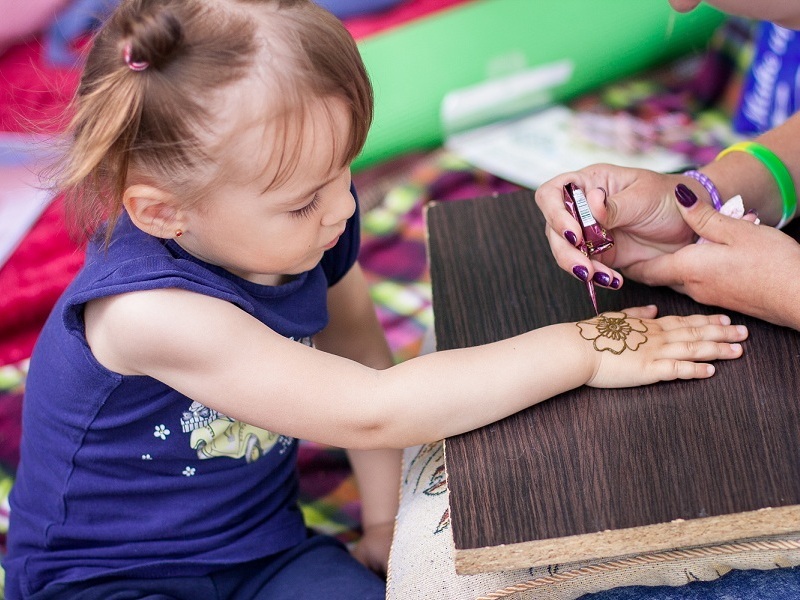 Other places include Shivoham temple in Kemp fort mall, which is also known as Bangalore Shivan temple, and Shree Radha Krishna temple Bangalore located in Sanjaynagar. If you thought Bangalore city was all about technology and IT, it’s time you change your impression! With a number of temples in and around the city, there is no dearth of knowledge to people who are passionate about the ancient history and mythology. Each temple has an interesting story behind it and stand proudly as a mute witness to the gone-by golden era. With many centuries of worship, these temples have divine vibrations and a magical feel. Sitting in the sanctum for even 5 minutes can calm down your chaotic mind! So, what are you waiting for? 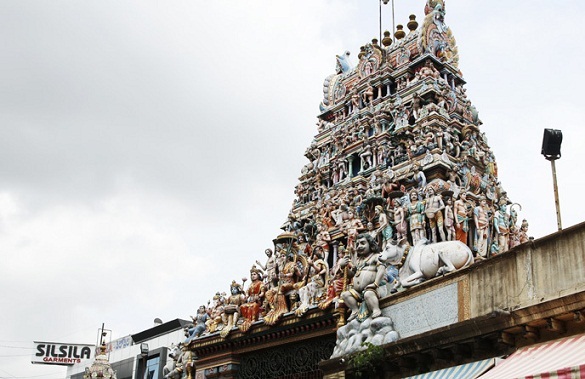 Do visit these temples and let us know if you had any divine experiences in these places!